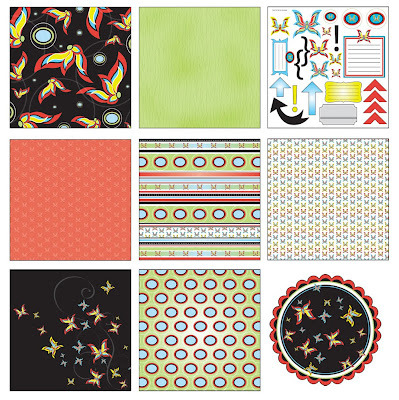 Here are two of Nikki Sivils Scrapbooking lines that will be released at CHA. Be sure to click on the image to enlarge them. I really like Flaming Butterfly. It has gorgeous rich colors! I LOVE both of these!! I am partial to butterflies though! I really like flaming butterfly. Love the scalloped circle paper. Cool. I like the honeycomb! I'm really loving the Willow Bee - how exciting! The Willow Bee is a must have for me. The flaming butterfly has great color but not sure what I would do with it.